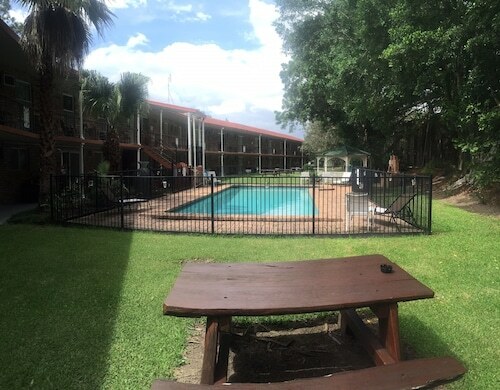 Situated in Coomera, this guesthouse is within 9 mi (15 km) of Dreamworld, WhiteWater World, and Warner Bros. Movie World. Sanctuary Cove Marina and Wet'n'Wild Gold Coast are also within 12 mi (20 km). 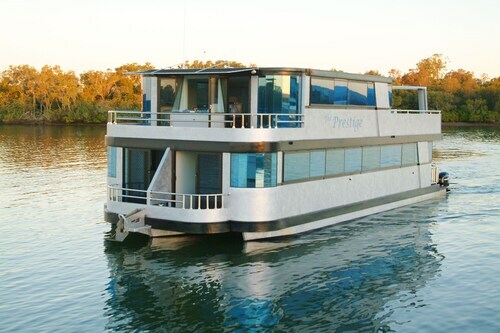 Situated in Coomera, this houseboat is 2.5 mi (4.1 km) from WhiteWater World and 2.6 mi (4.1 km) from Dreamworld. Warner Bros. Movie World and Wet'n'Wild Gold Coast are also within 9 mi (15 km). 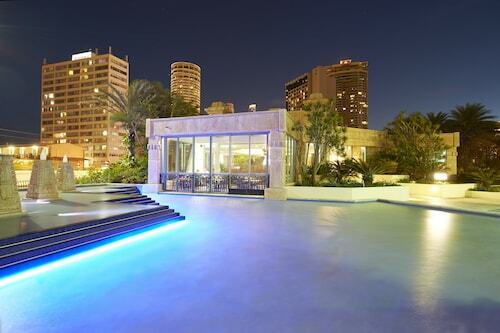 Are you heading to Gold Coast? Take the time to swing through and explore the Coomera district, which is 20 kilometres northwest of the urban area of the city. 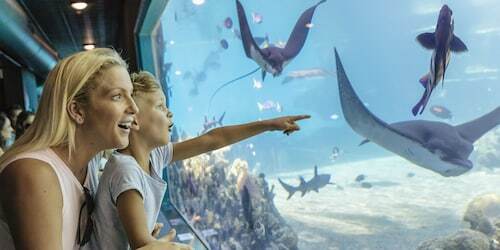 While you're in the Gold Coast area, you'd be daft to miss its large number of iconic sights, which include the Sea World, Movie World and Dreamworld. Appreciate the sailing boats anchored in the docks or just wander nearby and enjoy some clean air at Sanctuary Cove Marina. The InterContinental Sanctuary Cove Resort and Azzura Greens Resort are perfect if you want to hit the hay close by. Teach the locals your technique with a game of golf at Sanctuary Cove Golf and Country Club. The Ramada Hotel Hope Harbour and Sanctuary Cove Villas are your best bets for this attraction. Calling in to Cafe Nineteen is a great way to start the day in Coomera. Just follow the aroma of freshly roasted coffee beans! Wondering what to do for dinner? Look no further than Quarterdeck Kitchen & Bar. The hearty meals here will be sure to satisfy a rumbling stomach. Ever noticed that you tend to get thirsty as the sun starts to set? A beer or two at Black Angus Bar & Grill is the perfect way to finish off a long and memorable day. It is worth thinking about booking accommodations in North Gold Coast or Helensvale when planning your Coomera trip. North Gold Coast is 5 kilometres from Coomera and Helensvale is around 6 kilometres away from Coomera. Coomera has some fabulous accommodations. So, when you're ready to make tracks to Gold Coast, let Wotif take you there! 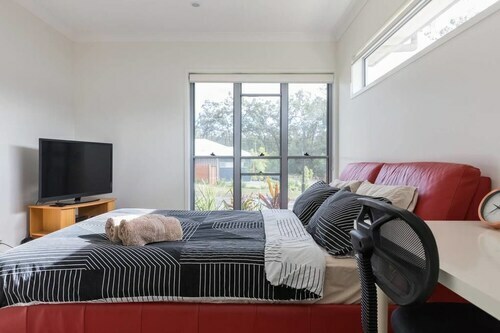 How Much is a Hotel Room in Coomera? 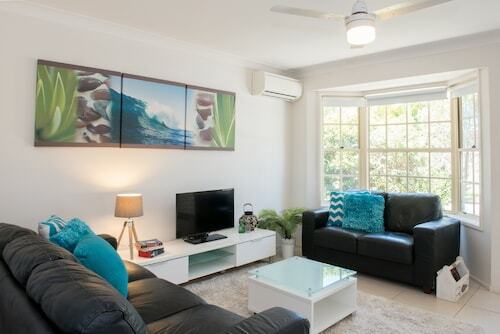 Hotels in Coomera start at AU$110 per night. Prices and availability subject to change. Additional terms may apply.